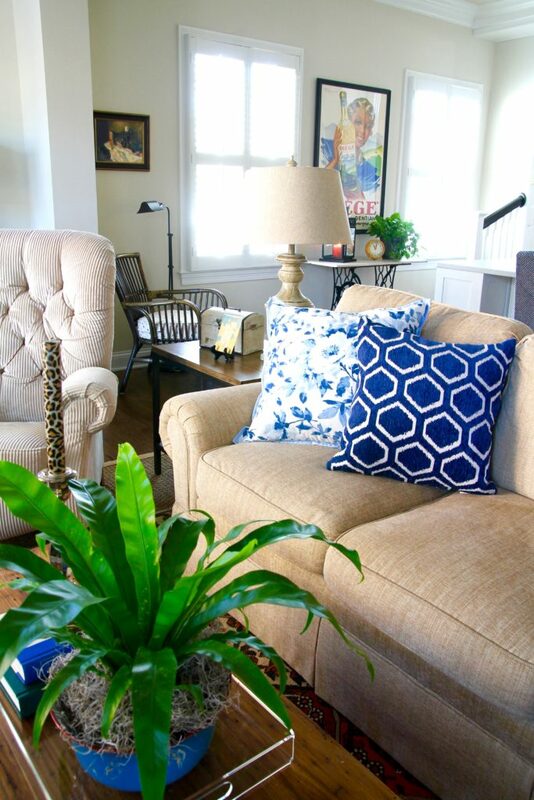 Two things can change the seasonal look of any room: pillows and flowers or plants. That’s what we did, and now the family room is ready for spring. Even though temps have been almost winter like outside, it’s spring indoors around here. We were in transition last year with our move, and remodeling project, and spring just came and went for us without much fanfare. So, this year I am consciously savoring every moment of it. 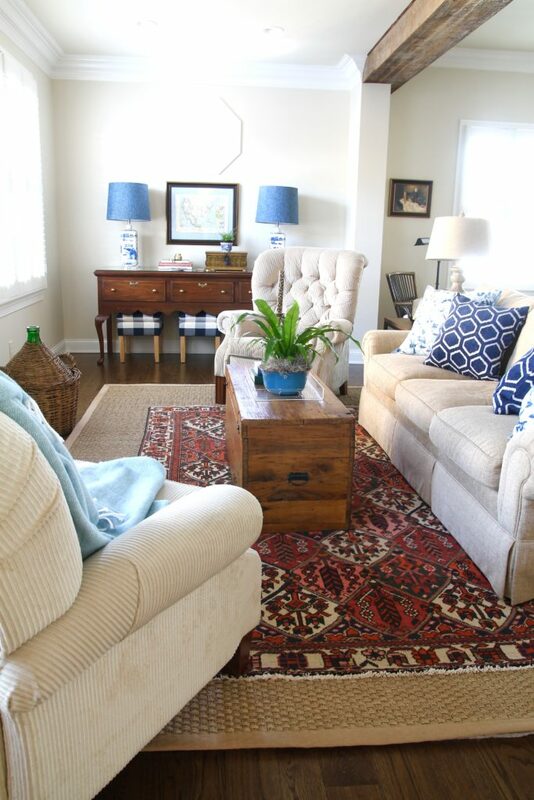 Come take a look at the few tweaks we did to the family room for this season. Instead of flowers, I opted to change up the vignette on the trunk turned coffee table. 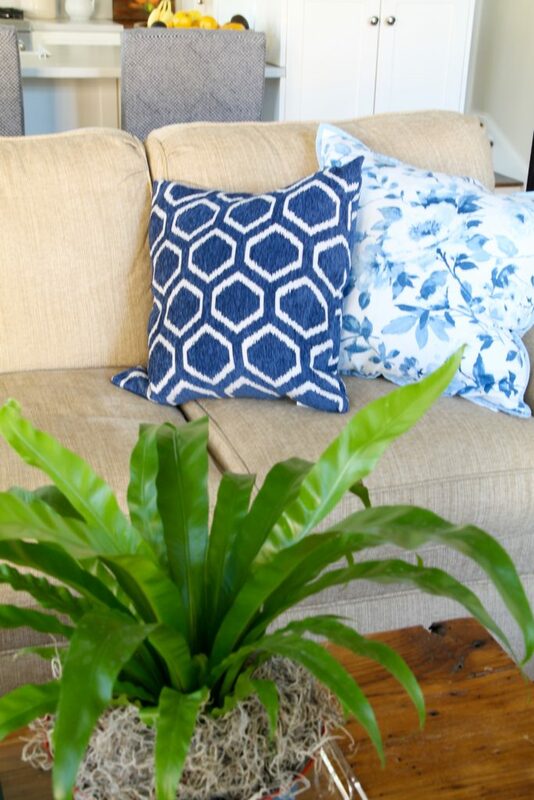 It’s a great place for our new bird’s nest fern. This is my second bird’s nest fern. May the first one rest in peace. I am trying very hard to keep this one alive, and so far, it is healthy. I hope by typing those words I didn’t jinx its existence. 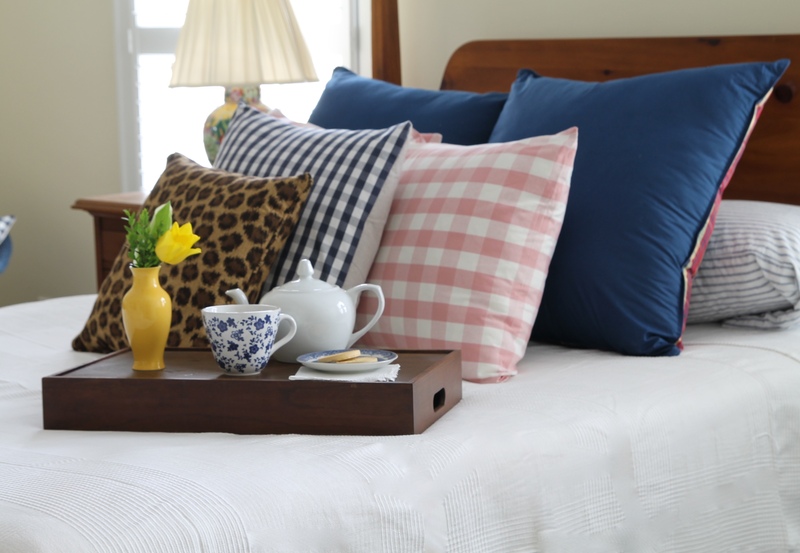 I found some new pillows for spring in my favorite blue and white. I love the mixture of patterns. Just by adding some red patterned pillows into the mix, it will be easy to give the sofa a patriotic look for the upcoming summer holidays. 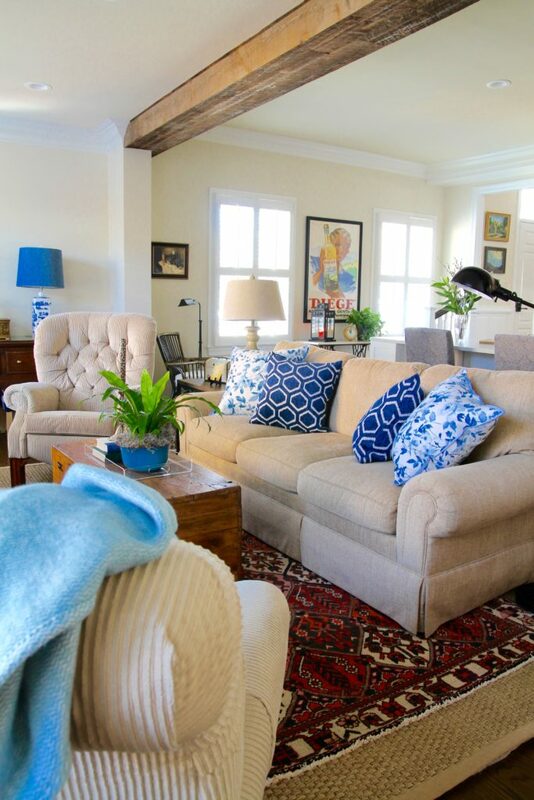 I kept the soft blue throw because it is very spring like. 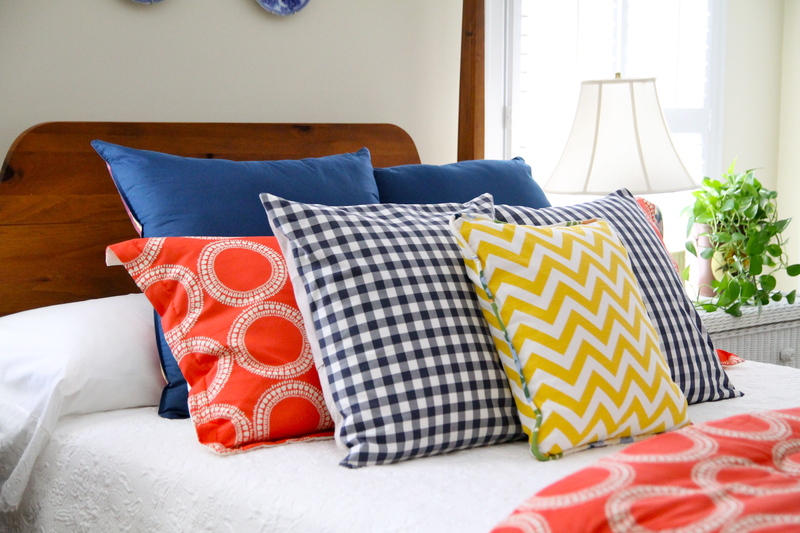 Like we have said all along……if you have a somewhat neutral room, it’s easy to change the seasonal looks with the addition of pillows, plants, throws, and accessories. 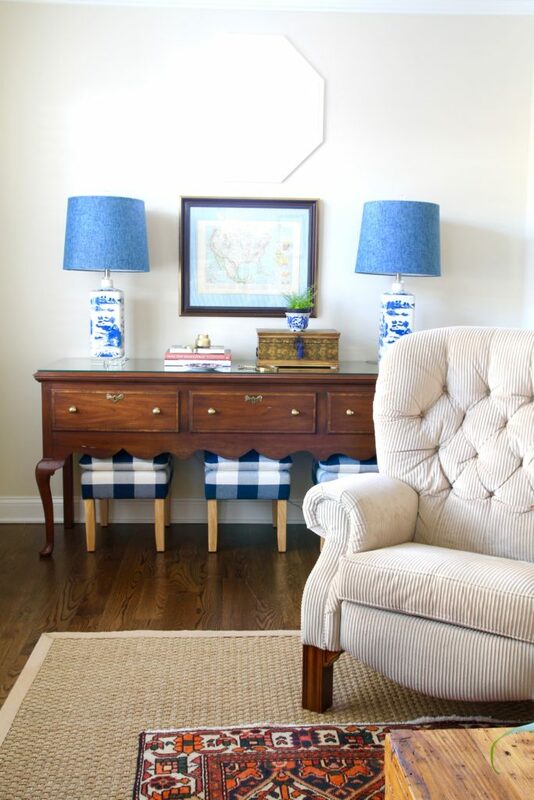 Are your rooms ready for spring?